Another bridal shower cake. 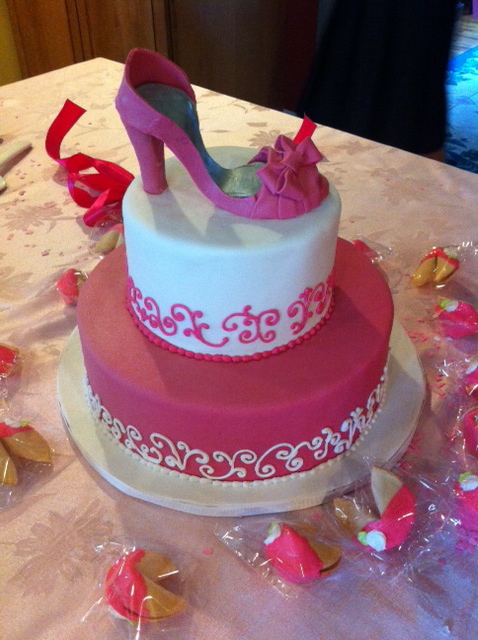 This one features a sugar shoe that replicates the brides wedding shoe. In white and watermelon pink.